Minneapolis emergency protest demands ‘Hands off Libya’ | Fight Back! 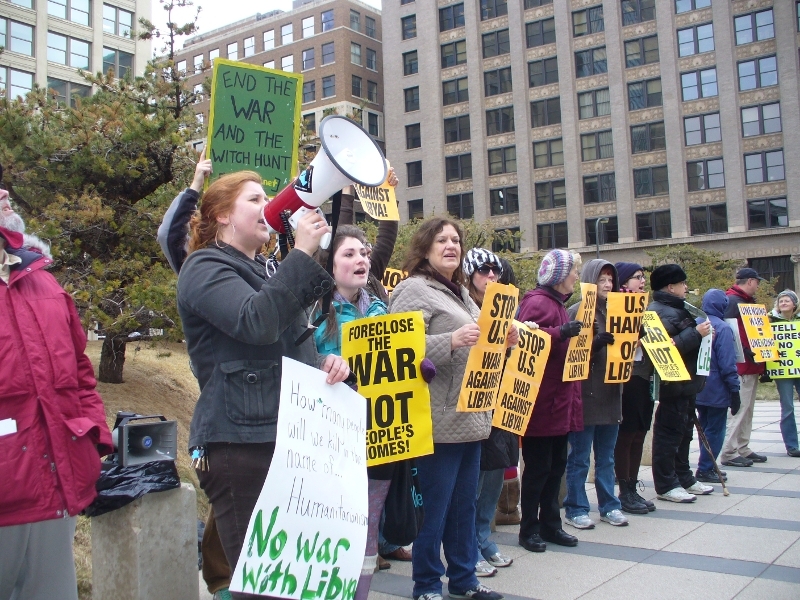 Minneapolis, MN - About 75 protesters demanding an end to the U.S.-led war on Libya gathered at the Federal Building here, March 21. 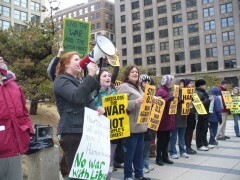 The demonstration was initiated by Women Against Military Madness and endorsed by the Anti-War Committee, the Twin Cities Peace Campaign and others.